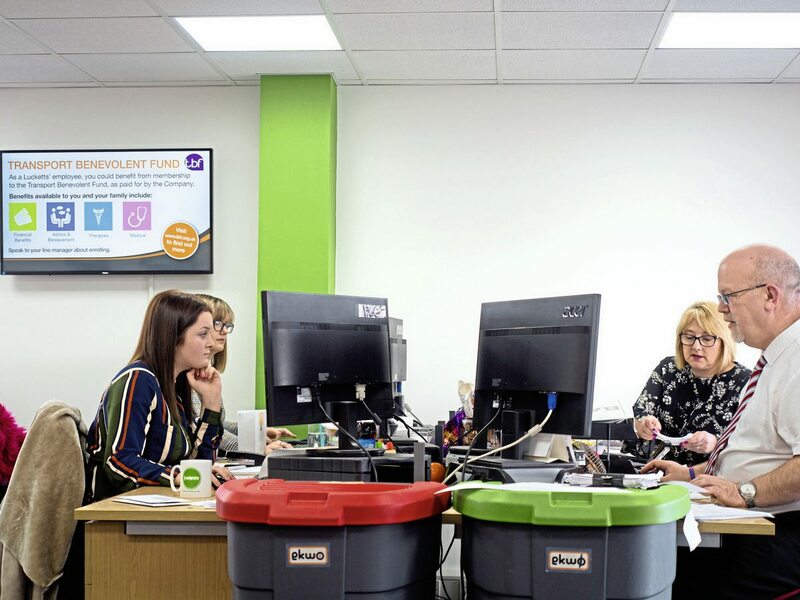 At Lucketts Travel, there’s a minor revolution taking place with its IT, as the company aims to centralise and integrate its business systems. I had a wander into town the evening before meeting up with Lucketts, and joked afterwards that I went to Fareham but it was closed; Tuesday nights in any small town are short on thrills, but from what I could see with empty sleeping bags in shop doorways, even the homeless people were out. 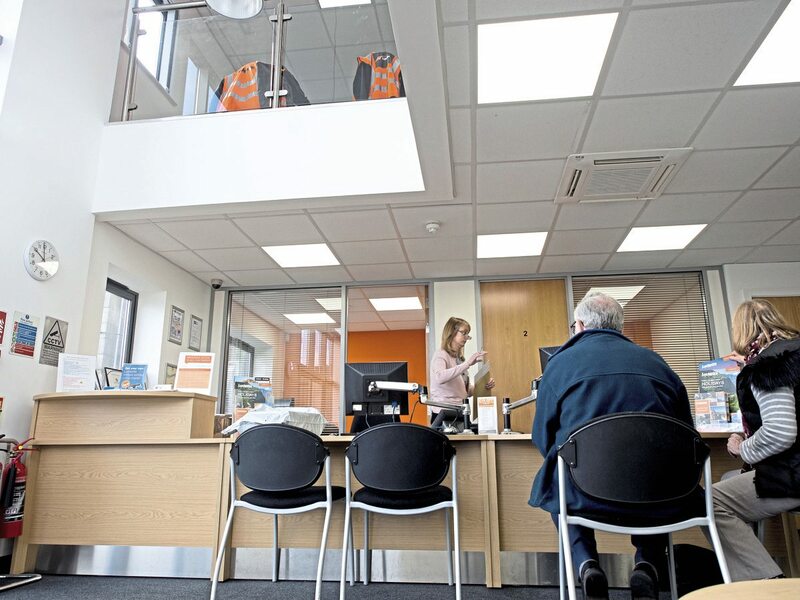 It’s anything but sleepy at Lucketts Coaches, where a stylish but fairly modest office on Broadcut lets through to its spacious and modern yard. It’s very smart, but what’s smarter is the company’s drive to create one of the most modern and advanced coach companies in the UK. 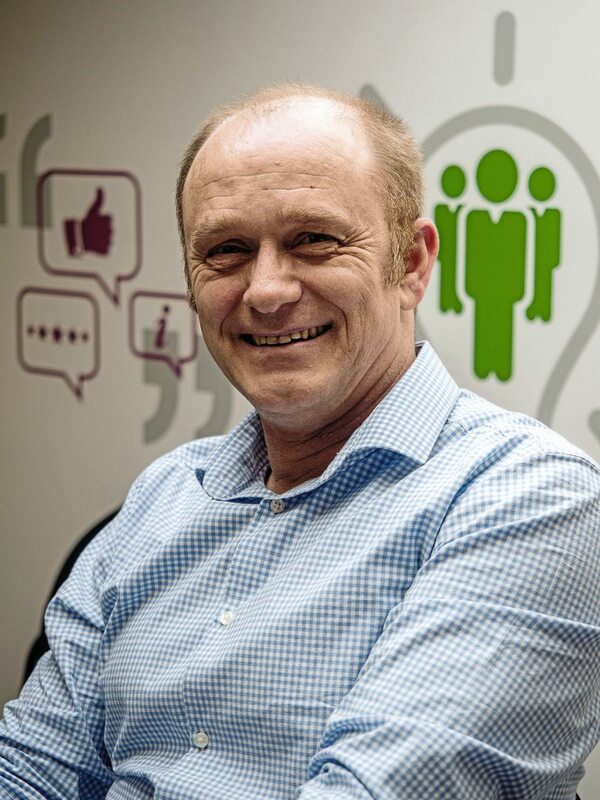 To say that Ian Luckett, as a Director, and the rest of the team are busy would be an understatement; a trail of local acquisitions seems to have led to a strong desire not only to get full control of burgeoning assets, but to build a company which is fully connected; the idea that information isn’t to be guarded like secrets but shared with everyone. The drive to share information has had to start with gathering it in the first place, explains Ian, pulling up a screen on his computer. It’s cloud-based software called Qlik, which cleverly pulls together threads of all the other business software, digging into data on SQL databases to produce ‘traffic light’ monitoring of everything including the day’s Alcolock records and licence checks. At a glance, Lucketts’ KPIs are flagged up, alerting Ian and the rest of the team to potential issues. Having a data aggregation system like this has become necessary because running coaches is becoming more complex and, far from adding complexity, software systems enable Lucketts to create more foolproof ways of achieving compliance, of allocating drivers and vehicles, creating holidays and day breaks, planning maintenance, and every other essential function which, if it depended on paper, would be a nightmare to manage. A case in point is the decision to relegate the current carbon-copied walk-round check books to the bin, with Lucketts currently looking at options for drivers to create reports ‘live’ on a mobile device so they upload instantly to all relevant departments: “Under the current system, the information has to be entered twice,” says Ian. Driving hours are already handled by TruTac software, which neatly dovetails into Qlik to flag up hours infringements. Uploads are, of course, automatic and seamless: “I can’t believe anyone complained about moving away from the disc system,” says Ian. The maintenance is already digitised, using Distinctive Systems’ Vehicle Management System (VMS). Centralising everything from planned inspection and maintenance, MoT, and any amount of other vehicle-specific information is vital. Workshop staff have tablet computers to manage defect reporting and produce job cards, VMS also working in the background to monitor stock of consumables including tyres. Lucketts has long been tuned into the value of its data. 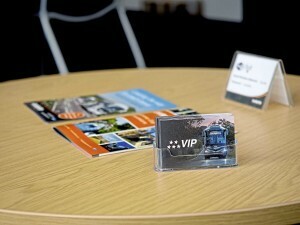 Running an extensive holiday and day trip programme, also using Distinctive System’s software – because the software integrates, it has the whole suite, including VMS, Coach Manager and Tour Booking System – it has always kept a weather eye on booking patterns and monitored customer feedback as a way of fine-tuning its tourism offering. Collecting all this data is a little more complex than saving emails. For some time, Luckett’s has stored it all on its own servers, which have a power back-up system on the basis that, if you have a power cut, heavy reliance on electronics would bring work to a sudden halt. The servers cost around £25,000 but, says Ian, are coming to the end of their useful life. Bit by bit, Lucketts is migrating all the data to a Cloud data centre – amorphous off-site servers which more or less guarantee access to the data 24/7 and, importantly, are set up with impressive security. The new GDPR rules governing data are, says Ian, more onerous than many operators realise, forcing companies to audit the data they have, demonstrate it can be found on request, retrieved and deleted, and show that it is secure and cannot be hacked by a third party. GDPR insists the audit includes a summary all of those people within an organisation who have access to the data. When drivers come ‘on stream’ using phones or tablets to log walk-rounds, accidents and other information, they, too will form part of the audit. Communication is, of course, one of the core functions of computing; the opportunity to share information instantaneously between groups of people, and store it, being a primary role. Telephone systems can also be linked – a direction Lucketts is about to go, because the call data will help identify peaks and ensure staffing is available to cope. For example, although on-line bookings of holidays and day trips is on the rise, many customers prefer to hear a human voice. There’s nothing worse than listening to ‘call on hold’ musak. None of this comes cheap. Lucketts spends £80,000 a year on IT. The problem with these investments are that they can be endless but the recent launch of the pilot of Earned Recognition from the Driver Vehicle Services Agency (DVSA) then provided an ‘end game’ for these largely auditing processes. To say Lucketts is an early adopter of Earned Recognition would be an understatement; of only six coach operators in the pilot, three are Lucketts companies. Earned Recognition could be viewed as a way to keep DVSA off the operator’s back, and to some extent, it is. 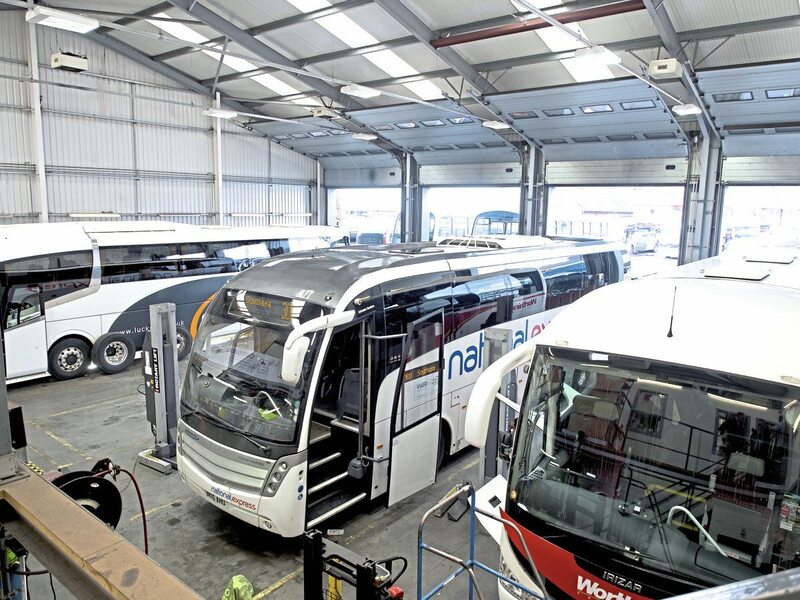 But Ian says the benefits include the reassurance that maintenance is being constantly monitored by a third party, and has been properly audited, together with other processes such as driver training. In his view, if this isn’t happening, there’s a problem anyway, regardless of ticking boxes for DVSA. Ensuring drivers not only come aboard but stay at Lucketts is a core activity for the management team. 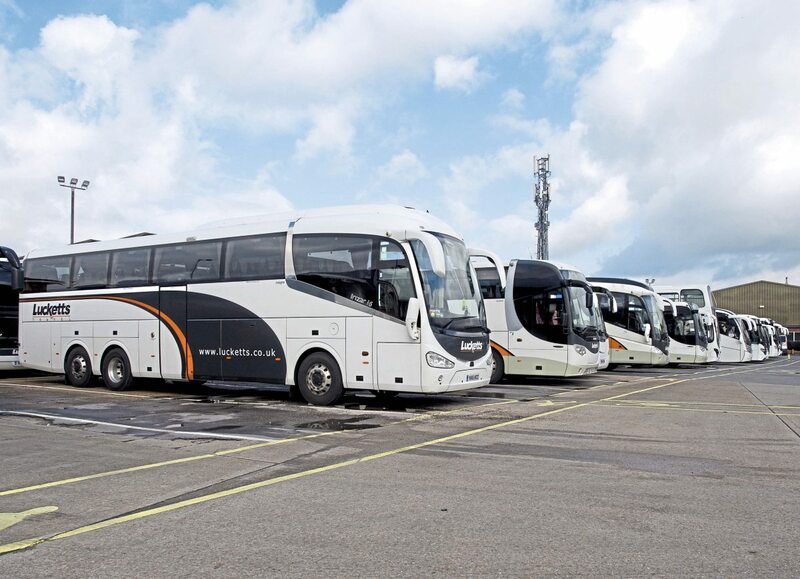 Although the company has always been focused on recruiting and training drivers, the recent appointment of Dave Allen to the role of Operations Director has seen a step change in ensuring drivers get the recognition they deserve, for a role which is absolutely at the core of every good coach operation. Dave’s background is a world away from logistics; he’s a ‘people person’ who spent 33 years of his working life in the Army, where building a team spirit and ensuring everyone watches each other’s back is a credo. “I’ve now been with Lucketts for 13 months. I wanted a new challenge,” Dave tells me. 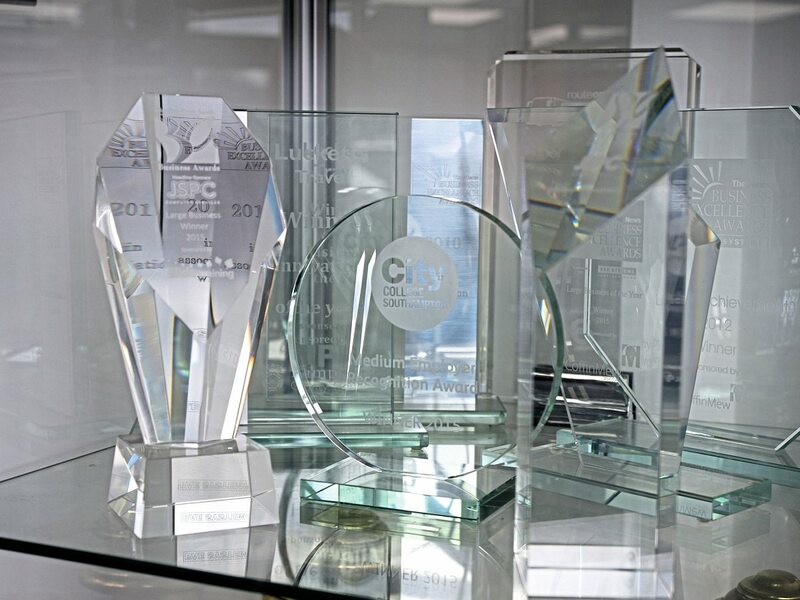 “The achievements already made at this company are astronomical, but I’m here to carry that forward and ensure the company is team-orientated, sharing the same ethos. Lucketts also has a driver mentoring scheme, with classes in everything from cycle awareness to fitting snow chains: “Our senior drivers were cynical at first but when they took part, changed their minds,” says Dave. As part of a package of driver benefits, each has a lucketts.co.uk email address, which enables the entire driving team to access Microsoft Yammer – a closed social networking service, through which all of the staff can share any information of use, and through which Lucketts can get key messages across. In particular, the company uses Yammer to share the many compliments its staff get from customers. It’s not just about the big stuff, says Ian. Staff all have an opportunity to sign up for Perk Box – a discounts and benefits package. At £3 a month, it offers, among other things, mobile phone insurance – a particularly relevant benefit, as drivers are increasingly being asked to use their phones for Lucketts’ integrated approach to managing the fleet. There’s no need for Ian to endorse the driving team he has at Lucketts; as we chat in the traffic office, experienced supervisor Vicky, unprompted, says they’re the “best crew anywhere” and clearly means it. 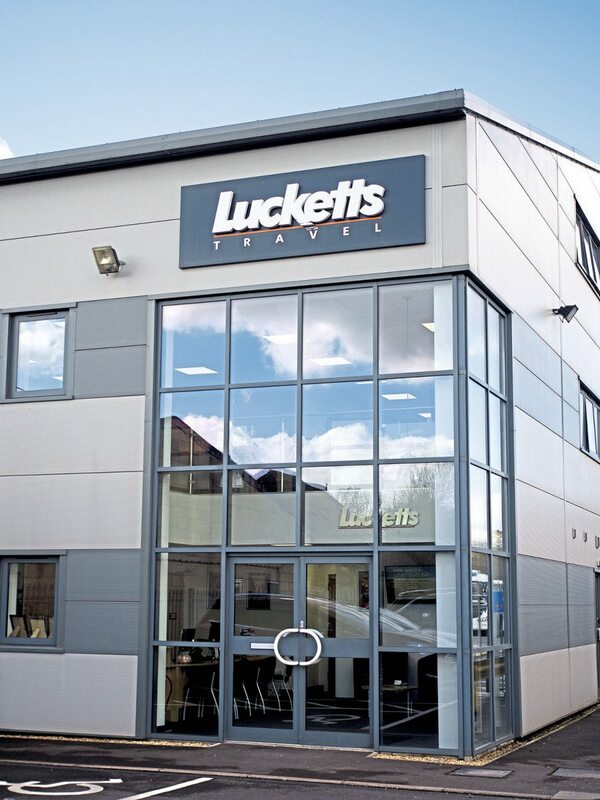 Lucketts Travel has grown organically over the years, building not just the number of vehicles to well over 100 and broadening its scope but continually pressing to keep the fleet age profile as low as possible. 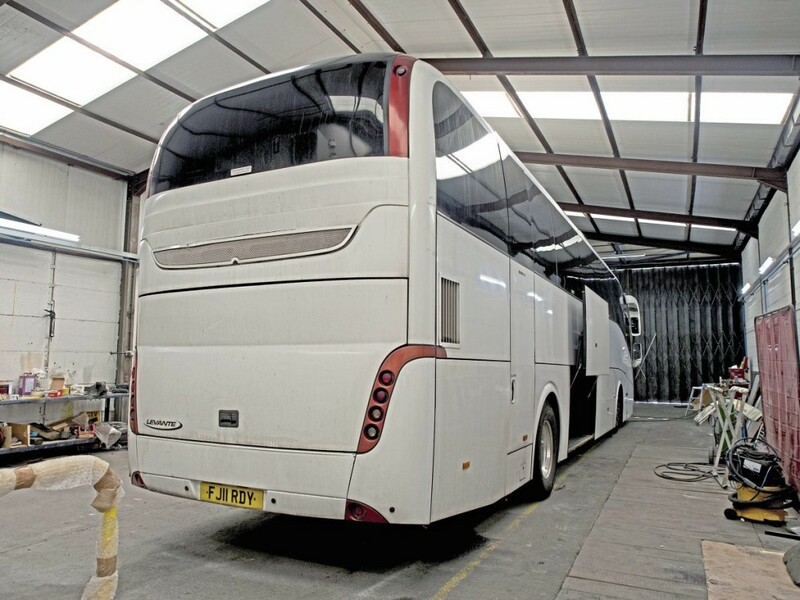 Bus & Coach Buyer traced the complete company history in 2015 (https://goo.gl/7bmQSo). 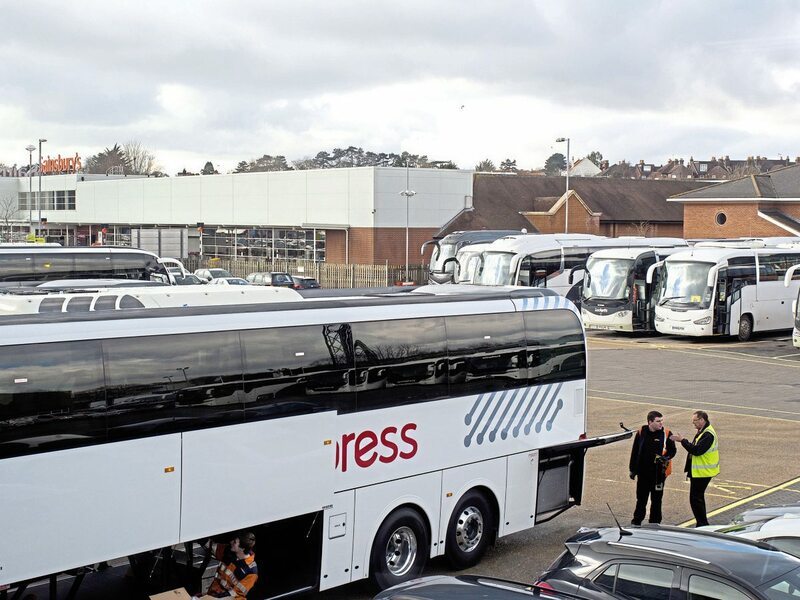 Lucketts has added to its diversity by acquisition, getting Worthing Coaches in 2005, Coliseum when offered by the Pitter brothers in 2012, and 12-vehicle Solent Coaches in November of last year. The latter deal saw David Pitter’s son, Mark, become General Manager at Solent Coaches. In the main, the acquisitions haven’t been a desire to acquire properties, but have come with a handful of sites. For example, the former Priory Coaches depot, which at acquisition was with Hellyers when it went into administration. It’s now a body refinishing shop and base for auto-electrical work. The original workshop now has a paint ‘oven’ built next door. 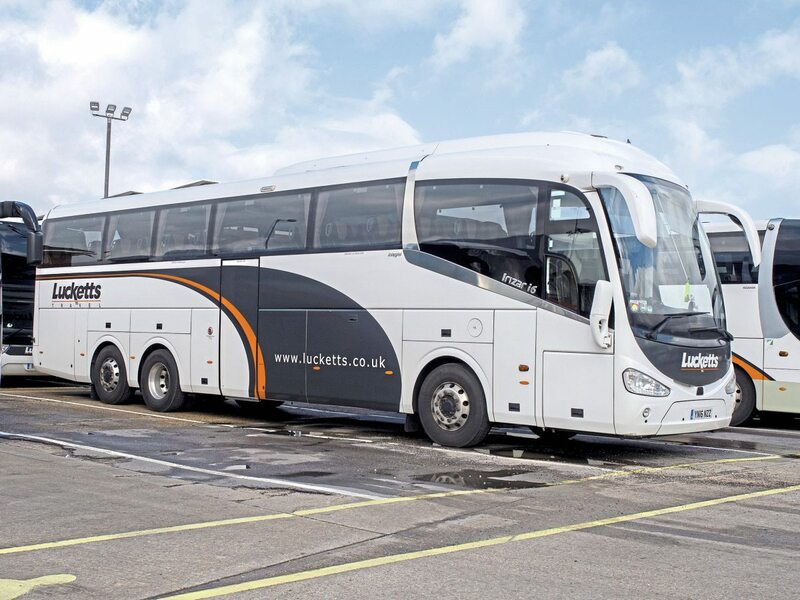 Worthing Coaches also provided a useful satellite station for Lucketts, in Lancing, which homes some of the fleet, including some of Lucketts’ many National Express vehicles – a cabinet of glassware awarded to Lucketts by National Express shows how committed it is to this work. It has grown since 2009 to become one of the south’s biggest contractors. Growing by acquisition also presents unique challenges. Coliseum was a much-respected business when acquired, operating for Angela Holidays among other tour groups. It made no sense to abandon the Coliseum brand, so Lucketts opted for using the name in their pattern of livery: “Branding is a huge challenge for us,” admitted Ian. The trick is carrying forward goodwill for the previous brand while gradually putting the Lucketts stamp on it. One look at Lucketts website will give you a pretty strong clue that its home-spun tour and excursion work is an important part of the business. The Lucketts website itself is powered by Distinctive Systems’ Tour Booking System, and strongly promotes an impressive programme of holidays in the UK and Europe, and UK day trips. 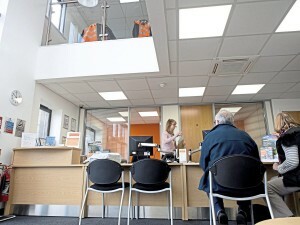 The lower part of the main office is a welcoming booking desk for local people who prefer to talk through their choices with, from our observation, articulate and well-trained staff. 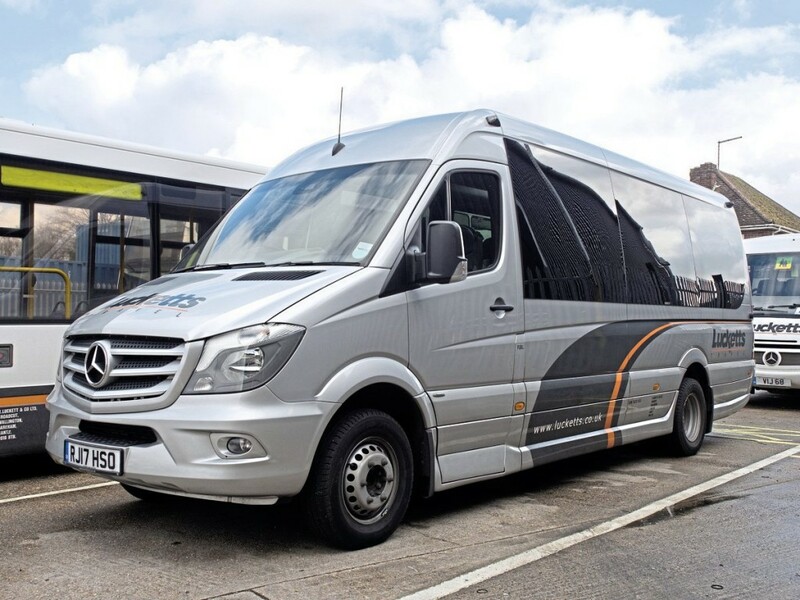 “Talking to fellow operators, I occasionally get told how tough the coach tour market is proving in recent years, and asked how we’re finding it. It’s a bit embarrassing because our tours and excursions are selling really well,” says Ian. If the rest of Lucketts’ drive for IT excellence is anything to go by, I suspect that’s not going to be a problem for long. Its drive to centralise data, whether it’s from clients or from drivers, technicians, tachographs, fuel use and every other aspect of the business brings with it challenges.